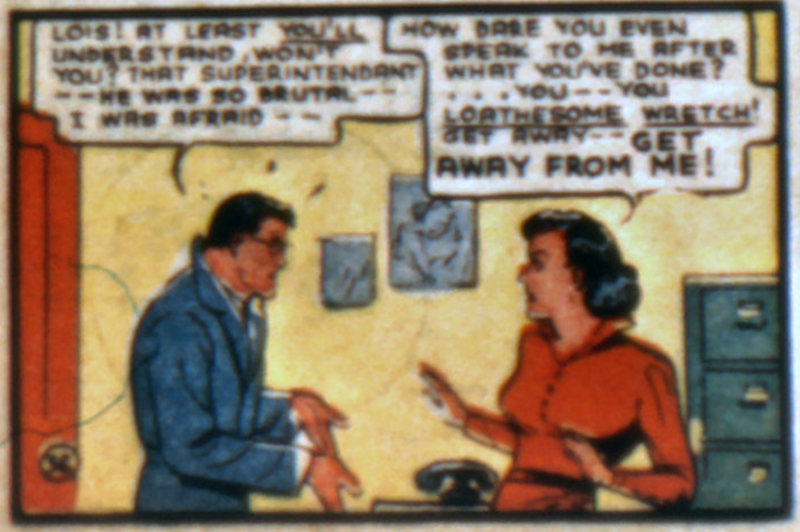 In early Superman stories like Action Comics #10 (February 1939), Jerry Siegel made sure that Clark Kent was the mask, cooking up situations where Clark had to appear cowardly or have less integrity. In this story, Clark gives up his source, an escaped convict from a brutal prison where the superintendent tortured the inmates. In the end, Clark uses this device to get evidence of the corrupt superintendent, so I guess he was redeemed in the eyes of Lois and the Daily Star editor by the end of the story. This plot device was semi-retired during the Bronze Age of Comics, giving the Clark Kent persona much more integrity and charm, causing Lois to eventually fall in love with both personas.